Varsity softball's ace pitcher Maddy Bedrock '17 is on the ballot for Courier News Player of the Week. Voting ends this Friday, so be sure to cast your ballots! Bedrock has been the starting pitcher in every regular season game thus far, pitched just shy of 70 innings and notched eight wins, helping the Knights clinch the Skyland Conference title last week. 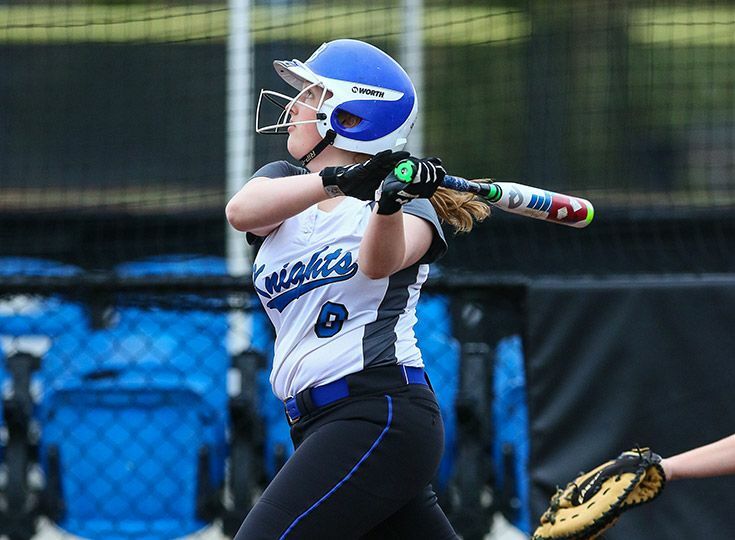 Yesterday, however, in a matchup against North Plainfield, she reminded fans that she is a force to be reckoned with at the plate as she garnered a career milestone of 100 hits with Gill St. Bernard’s. Bedrock is expected to be a key contributor as the team begins tournament play with the Prep B quarterfinals against Rutgers Prep this Friday. Congratulations Maddy. Go Knights!